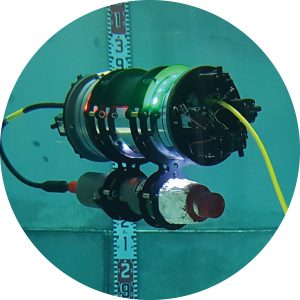 RNE is a five-year collaborative research programme that brings together robotic and nuclear engineering experts to make the step changes in RAS capability that are needed to overcome the challenges facing the UK and international nuclear industries. The programme will be supported by partners spanning the nuclear supply chain and will establish the UK as a world leader in the development and deployment of RAS technology across the entire nuclear cycle: reactor operations, new build reactors, decommissioning and waste storage. 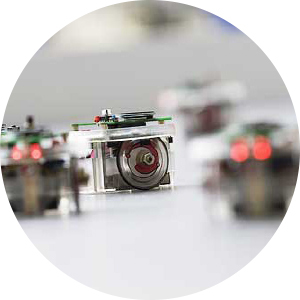 It is envisaged that the programme will also have a significant impact in areas of robotics other than nuclear: space, sub-sea, mining, bomb-disposal and healthcare, for instance. Cross-sector initiatives will ensure that there will be two-way traffic of knowledge and technology between all potential beneficiaries of the programme’s research. The programme is being funded by The Engineering and Physical Sciences Research Council, industrial partners and the Italian Institute of Technology. Cleaning up radioactive waste is a dangerous job for humans. This is why RNE is developing the capabilities of robots so they can do more of the work for us. There is over 100 years of nuclear decommissioning work in the UK alone at an estimated cost of up to £220 billion. 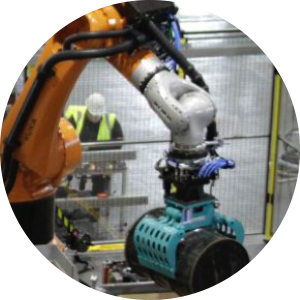 The development of better robots will be vital to the successful completion of the decommissioning process. The shortcomings of current robots have been clearly seen at the Fukushima site in Japan.